Black leaders challenge Clinton on abortion: "Don't black lives matter?" In an open letter to presidential candidate Hillary Clinton, 26 black leaders and pastors raise concerns about several important topics affecting the black community. They discuss violence against black Americans, education, religious liberty, and abortion. In the letter, the coalition of leaders, who come from a wide range of organizations and churches, declare their intent to serve and protect the poor — and all people — which they hold as their Christian duty. Abortion in the black community has had a catastrophic impact. 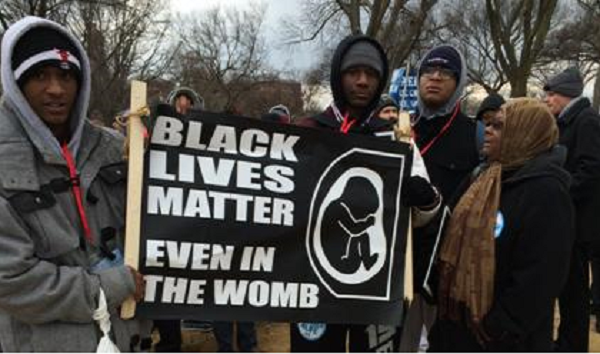 Nationally there are 365 black babies aborted for every 1,000 that are born. Blacks account for roughly 38% of all abortions in the country though we represent only 13% of the population. In New York City, the situation is absolutely dire. According to a report prepared by the city’s Department of Health and Mental Hygiene, in 2013 there were more abortions among black women in the city, 29,007, than there were black babies born, 24,108. The leaders challenge comments made by Hillary Clinton, citing a 2015 speech in which Clinton stated (in context of abortion) that “deep-seated cultural codes, religious beliefs and structural biases have to be changed…” Such comments are “reminiscent of totalitarianism,” argues the coalition. In 2008, Secretary Clinton, you took the position that abortion should be rare, and you emphasized “by rare I mean rare.” But Black babies are dying at terrifying rates. How do you justify your unconscionable silence in the face of such destruction of innocent black life? Don’t black lives matter? What policies would you pursue as president to reverse the soaring abortion rates among black women? We hope all candidates will work to restore a culture that respects and protects innocent human life.